Can it be done and by who? Re: Can it be done and by who? Just ran across this thread. I call B.S. that tritium can't be installed in an R9s! I would say that they don't want to fool with the amount of trouble it would be. 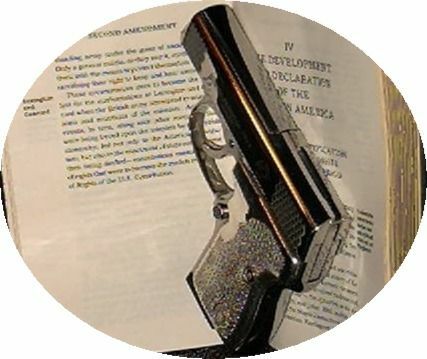 I have a Colt Nite Lite (correct spelling) that has tritium sights. It was a Colt Custom Shop .380 Mustang with tritium sights. Those sights are TINY!!! That guy probably never even held an R9. I have S & M ASSOC Colt GoV custom with night sights, so does my brother. I have a Kahr P380 with night sights, but that doesn't put then in an R9. Each and every Sig P238 has night sites. They are basically just an improved and updated Colt Mustang. sights, not sights that are milled with the slide blank. Here's a dumb question, is there such a thing as tritium paint? Tririum is regulated by the NRC and is not sold in the US. I also found this info about trying to make paint with it for night sights. For luminous sights, I recommend just getting a Trijicon sight. Because it uses a phosphor-coated capsule filled with tritium gas, it will glow brighter than anything you can cook up at home for the simple reason that the beta is so low in energy that any solid or liquid absorbs most of them before they can reach the phosphor. How about luminova paint. That is what Breitling and others use to make the dials and hands on a watch glow in the dark. It may also be regulated by the NRC, I don't know, but it is very popularly used by a lot of watch companies. Even Rolex has gone to it. The first problem would be to find a "watch maker" who works with it who wants to fool around with a handgun slide. The second problem would be how well it's going to stay on when it is constantly exposed to solvents oil and the elements. In order to explore those possibilties you would need to start searching the net for someone who specializes in reluming watch dials and hands. There are places that do that. I don't have a link but there was a watch person in Flagstaff, Arizona, who did do faces and hands a couple of years ago because he did a watch for me. Whether or not one needs night sights on a pistol like a Rohrbaugh is another subject altogether. I personally think that one might be very disappointed with the result and with the utility. The Rohrbaugh is a fine pistol for it's intended purpose. It is not nor was it ever intended to be a 50 yard match grade gun. 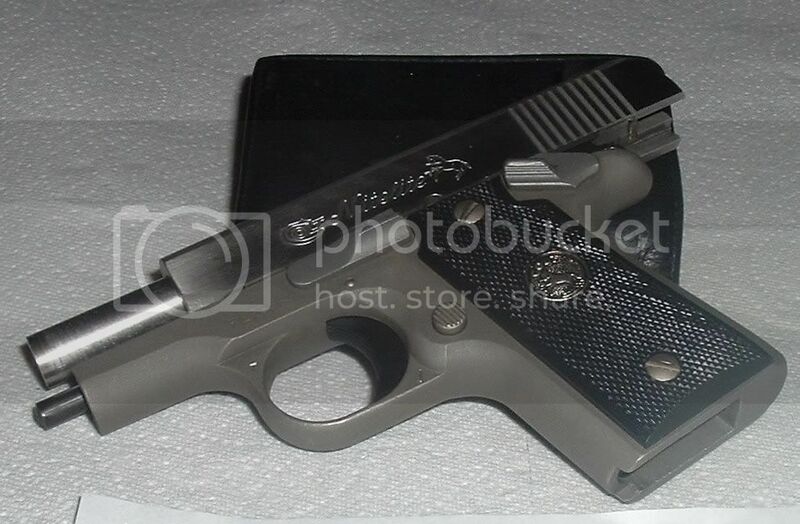 It is a fairly close range defensive pistol whose chief asset is it's small size and quality. It is a lot better than a "Push/Pull" gun. That's a term I coined in my classes for a pistol for people who can't shoot or seem to learn to shoot properly. It means Push the gun into the target till the front sight disappears and pull the trigger till the target either disappears or you can see through it. It's a facetious way of dealing with people who can't seem to get the light to come on about trigger control and focusing on the front sight and was always delivered with humor and good nature because as most of us know, in real life, it won't work for a variety of reasons. But for those who want night sights, if you think you want them, it's only money....get what you want or think you need. Even if it's purely psychological, if you think it helps it probably will. As for me I'll do without them on these mini guns. I checked with a watch maker, there are actually some very small inserts some of them use but they can not provide them to the outside world. This NAA G380 has "Gutter Snipe" sights with tritium inserts. After nine years they still glow in the dark. I've got TruGlo Tritium Night Sights on a new Glock 17, Gen 4; sure hope they're that good in that length of time. Just plain simple and cool. I have the same set up on a custom Colt Defective Special. all i can say is the reason there isnt a nite sighted rohrbaugh yet is there is too thin of material in the slide to support a night sight. Though there is experimentation going on at the rohrbaugh factory to find a reliable way to have a night sight as we speak.